The Bibletones are proud to announce that they have ended their search for their new lead singer and have added Jamie May to take on the position. Jamie and his family reside in Magee, Mississippi. “We are very excited to have added someone with such enthusiasm and love for gospel music as Jamie”, states group owner, Jack Armstrong. The Bibletones Quartet was formed in 1957 by Mr. and Mrs. Ward Hurt, in Lumberton, Mississippi. Hurt was born and raised in North Alabama and actively sang in quartets, including the group, the Sand Mountain Quartet. In the late 1940’s, Hurt and his wife moved to south Mississippi, where he established the Bibletones, with the vision to create a singing ministry group. In addition to his work with the quartet, Hurt also served as mayor of Lumberton, Mississippi and manufactured furniture. In the early 1980’s, Hurt retired from the Bibletones and the leadership went to Howard Rutland and Paul Vinson, members of the group. Paul Vinson left the group in the mid 80’s to sing with the Dixie Echoes (his son-in-law is Randy Shelnut). The Bibletones has achieved many accomplishments during its existence including the recordings of more than forty projects, such as videos, television programs and a weekly show in Tampa, hosted by singer, songwriter and minister, The Late Vep Ellis. The group has appeared on the Gospel Singing Jubilee, Grand Ole Opry (Sunday night), The National Quartet Convention, as well as promoted gospel concerts in South Mississippi. (Several concerts were promoted together with the “Old Gospel Man,” the late, J. G. Whitfield). 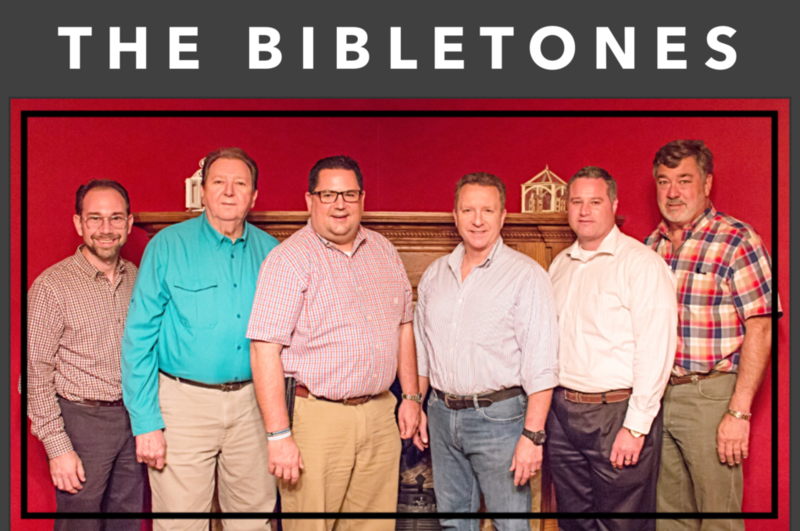 In the last 52 years, the Bibletones has hosted more than 75 members, each one of them performing with unique talent. Some of the earlier members include: Paul Vinson (Dixie Echoes), Mark Flaker (Florida Boys), Tommy Atwood (Florida Boys), Billy Todd (Florida Boys), William Pippen (Naomi & the Segos), Craig Pippin (Dixie Echoes), Vaughn Thacker (Dixie Echoes), Pete Pitts (Naomi & the Segos), Tommy Randall (Plainsmen) and Mark Lanier (Poet Voice).